What are medicare advantage plans - Medicare Part C? Medicare Advantage (MA) Plans are available through private health insurance companies. Also known as Medicare Part C, these plans include Original Medicare (Part A and Part B). Many people choose Medicare Advantage Plans because they are offered through private health insurance. These plans have more benefits, while often costing nothing or very little. You are eligible for Medicare Advantage if you are over the age of 65. If you are under the age of 65, you may also be eligible. All of the benefits, eligibility, types and enrollment processes are covered below. You may have questions or want help selecting a plan that will match your needs exactly. If so, you can reach a knowledgeable and friendly MedicarePartC.com representative at (888) 228-MEDI (6334). You may currently be receiving or will be eligible to receive Medicare. Either way, you will also be eligible to receive Medicare Advantage. Original Medicare has two parts: Part A (hospital insurance) and Part B (medical insurance). Both cover hospital visits, urgent care, home healthcare and skilled nursing facility care, among other benefits. 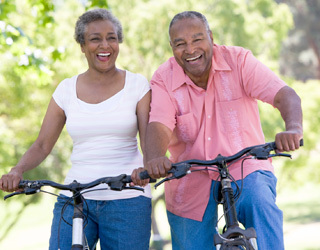 Medicare Advantage plans combine Part A and Part B into one plan with the same services. And, they add a few extras, for little or no cost. For example, Medicare Advantage plans offered through Humana include vision and dental services. These plans have low because Medicare pays Humana to offer MA plans to those who are eligible and want a private health insurance option. Medicare Part D is also included in most Medicare Advantage plans. However, you may have to pay an additional cost. Some plans are just $12 a month for prescription drug coverage through Part D.
HMO plans are going to be the cheapest Medicare option when it comes to monthly premiums and coverage. These plans require that you pick a primary care doctor. And, you can only go to in-network doctors and hospitals. You will not be covered if you go out of network. Most of these plans include some extras, like prescription drug coverage, vision and dental care. If you go with a larger health insurance carrier, they will likely have a bigger network of doctors and hospitals to choose from. PPO plans are more flexible and allow you to see out-of-network doctors and facilities. They may have a higher cost or be completely free, with basic services. Most PPO plans will provide you with some incentives for a rather cheap monthly premium. But this depends on the provider and region. PPOs break down into regional and national coverage. This may work better for those who already have their own doctors. PPFS plans allow you to see any doctor or go to any hospital. However, they must accept Medicare Advantage through your health insurance provider. SNP are specific plans that may be HMOs or PPOs. But they are only available to the select few who meet the requirements. Typically, these individuals have higher health costs and need long-term care. You must be a U.S. citizen and have been for five years before enrolling in Medicare. You are eligible for Medicare Advantage automatically if you are 65 and older. You may qualify for premium-free Medicare if you have worked for over 10 years and paid taxes. You may qualify for premium-free Medicare if your spouse has Medicare. You may have to pay a standard monthly premium of $104.90. Premiums go up based on the period of time that you paid Medicare taxes. If you paid for less than 10 years, you might not qualify for any discounts. You qualify if you have a disability and receive disability income from Social Security or the Railroad Retirement Board (RRB). If you do have a disability, you can receive Medicare on the 25th month of receiving Social Security. If you have amyotrophic lateral sclerosis (ALS, or Lou Gehrig’s disease). You live in Puerto Rico and receive Social Security or RRB benefits. If you are eligible for Part A and Part B, you are also eligible for Medicare Advantage plans. Note: Medicare Advantage does not cover end-stage renal disease (ESRD). You can sign up for Medicare Advantage plans as soon as you are eligible for Medicare Part A and Part B. But if you want to switch from Original Medicare to a Medicare Part C plan, you have to do so in certain enrollment periods. The enrollment period for Medicare Advantage starts in October and ends in December. You can make changes starting in January. To switch from Original Medicare, you just need to contact a private health insurance company that offers Medicare Advantage plans. You have to prove your eligibility, though. Many providers make it easy to sign up online, but you can also call. MedicarePartC.com offers a Medicare plan comparison tool to quickly help you pick out the right plans. You may not want to go with Medicare Advantage or Part C. If so, you can still get supplemental coverage, in addition to your Part A and Part B through Medigap. You can also add prescription drug coverage as a stand-alone supplemental plan. MA just makes it simpler to combine all of these into one and maintain a lower cost. You also get a few extra services with Medicare Advantage. You may have questions about any of the Medicare Advantage plans on this website. Or, you may just want help going through the process. Regardless, you can always reach a MedicarePartC.com agent at (888) 228-MEDI (6334). We provide all types of consultation and can answer any questions related to Medicare. We also answer various questions on our site about Medicare Advantage. And, we’ve provided a few different videos on Medicare eligibility and enrollment. You may prefer to check out HealthNetwork.com for your Medicare Advantage Plan needs. Here, you’ll find a variety of plans to fit your healthcare needs.